Although nothing is agreed until everything is agreed and there are still a number of issues such as the border between Northern Ireland and the Republic of Ireland where the parties are as far apart as ever, March has been a quiet month in the Brexit negotiations. Contrary to initial indications, British negotiators were able to reach agreement with the Commission on many of the provisions of the draft withdrawal treaty. 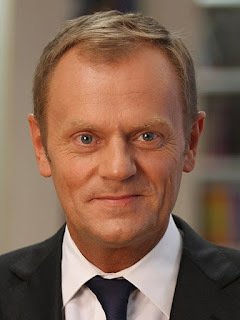 The other important development is that both the European Council and the Parliament have published guidelines for negotiations on the UK's future relationship with the EU. In order to understand the significance of the draft treaty and the Council and Parliament's guidelines, it should be remembered that art 50 (2) of the Treaty of European Union requires the European Union to negotiate and conclude an agreement with a withdrawing state, setting out the arrangements for its withdrawal and taking account of the framework for its future relationship with the EU. The document published on 19 March 2018 is a draft of the agreement contemplated by art 50 (2). It covers the matters that were negotiated before Christmas, namely citizens' rights, the Irish border and the UK's financial contribution. 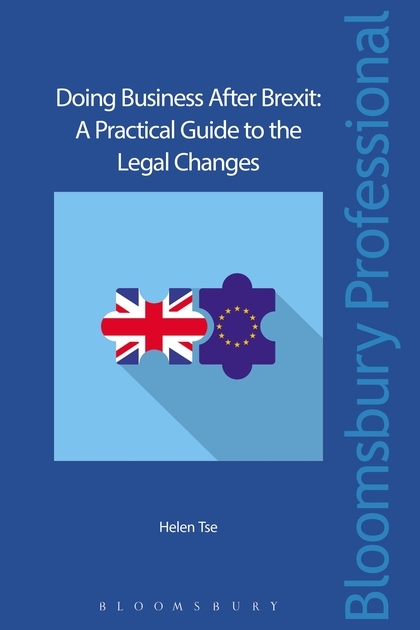 It provides for a transitional or implementation period between 29 March 2019 and 31 Dec 2020 when the UK will cease to be a member of the EU but will continue to be bound by EU law. It makes arrangements for all kinds of matters from the protection of personal data to Community designs and EU trade marks. But it does not (and is not intended to) provide for the UK's relationship with the EU from 1 Jan 2021 though, of course. it is supposed to take account of it. The draft agreement has attracted some criticism in the UK, especially for its Protocol on Ireland and Northern Ireland and the continuation of the common fisheries policy in British waters after 29 March 2019. Consequently, it is not a foregone conclusion that it will be signed. If the agreement is not signed, art 50 (3) makes clear that the EU treaties simply cease to apply to the UK on 29 March 2019 without anything taking their place. Despite the assurances that the government has given to businesses about a period of stability after the UK leaves the EU, my advice is to keep planning for the worst - that is to say, no agreement on anything after Brexit day - while, of course, hoping for the best - namely a withdrawal agreement substantially on the terms of the 19 March draft. Other paragraphs cover continued cooperation in other areas such as law enforcement and security. "The EP has a central role to play in the negotiations and how they turn out. Not only is its 6-member Brexit Steering Group in constant contact and influential with the Commission’s Task Force 50 (TF50), led by Mr Barnier, but the EP’s consent will be required for the final package: the Withdrawal Agreement (WA), including the transition period and the framework for the Future Relationship (FR). Indeed, leaving enough time for the EP to consider and vote on that package is one of the reasons the deal needs to be finalised by October of this year. Moreover, the EP’s formal consent is almost certainly going to be required, in accordance with the relevant Treaty articles (cited above), (cited above), to the detailed terms of the Future Relationship, whatever form it takes, (cited above), to the detailed terms of the Future Relationship, whatever form it takes, if and when we get that far." "One should also not forget its potential influence on content: the EP sees itself as guardian of citizen’s rights, SMEs, consumers – basically any group that needs defending. Its presence in the negotiations therefore serves as a balance to big business interests that might otherwise dominate." That short passage contains the answer to those who argue that the British market is so important to German car and Italian white goods manufacturers and French farmers that our negotiators can afford to play hard ball in order to pick some cherries or eat some cake. We may still be the 6th largest economy running a massive trade deficit with the 27 remaining member states but compared to those 27 the world's 6th largest economy is not all that big. In any case, there are interests to be considered other than those of big business. regulatory cooperation should be negotiated, with a specific focus on SMEs, mindful of the voluntary nature of regulatory cooperation and the right to regulate in the public interest, while recalling that provisions on regulatory cooperation in a trade agreement cannot fully replicate the same frictionless trade as provided for by membership of the internal market." "..... leaving the internal market would lead to the UK losing both passporting rights for financial services and the possibility of opening branches in the EU subject to UK supervision; recalls that EU legislation provides for the possibility, in some areas, to consider third-country rules as equivalent based on a proportional and risk-based approach, and notes the ongoing legislative work and upcoming Commission proposals in this area; stresses that decisions on equivalence are always of a unilateral nature; stresses also that in order to safeguard financial stability and ensure full compliance with the EU regulatory regime and standards and their application, prudential carve-out and limitations in the cross-border provisions of financial services are a customary feature of FTAs." It is perhaps for that reason that the Fourth Report of Session 2017–19 on The future UK-EU relationship by the Exiting the EU Committee of the House of Commons published on 4 April 2018 keeps as many options on the table as possible. Changing the subject dramatically, very little has been said about the Unified Patent Court Agreement o unitary patent up to now and I take that as a good sign. In One Year to Brexit - Are Rumours of the Death of the Unified Patent Court Agreement Greatly Exaggerated? 29 March 2018 NIPC Law I noted that all the legislative hurdles to British ratification have been cleared. Also, there is only the challenge to the constitutionality and a motion in the federal parliament to rescind the ratification bills that have previously been passed that is delaying German ratification. It is still just possible that the UPC and unitary patent before 31 Dec 2020 if not 29 March 2019.